University College London Hospitals NHS Foundation Trust (UCLH) is to unveil updated plans for a new hospital building that will bring under one roof services currently provided at the Royal National Throat, Nose & Ear Hospital and the Eastman Dental Hospital. The Royal Ear Hospital. 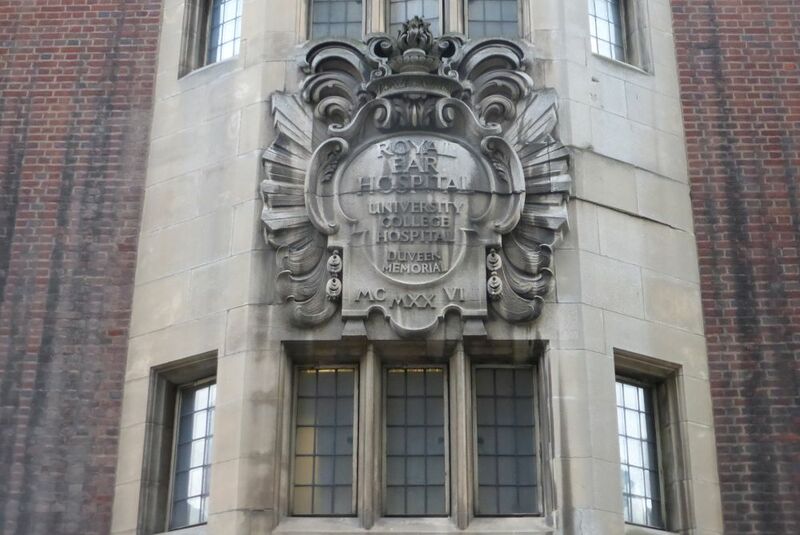 It survived WWII but is unlikely to survive UCLH’s bombardment. The plans, which will be shown at three exhibitions this week, will present “a new world-leading centre for the diagnosis, treatment and care of patients with disorders of the ear, nose, throat and mouth — including dental, hearing, speech and balance”, says UCLH. The proposals mean that the current students union building and Royal Ear Hospital will be demolished to make way for a single new building on Huntley Street. Barrister and philatelist, Sir Geoffrey Duveen (1883-1975), donated the land and £50,000 to build a hospital dedicated to the memory of his parents. The Royal Ear Hospital built in 1927 bears his family name on the Capper Street facade. Land in Huntley Street on the corner of Capper Street was donated by the barrister and philatelist, Sir Geoffrey Duveen (1883-1975), together with £50,000 to build a hospital dedicated to the memory of his parents. The Royal Ear Hospital was erected in 1927. The name Capper Street is from Cappers farmhouse which stood nearby. The new hospital will pull together the Royal National Throat, Nose & Ear Hospital and the Eastman Dental Hospital and “set new standards in patient outcomes and quality of experience thanks to the combined expertise of two leading specialist hospitals,” says UCLH. 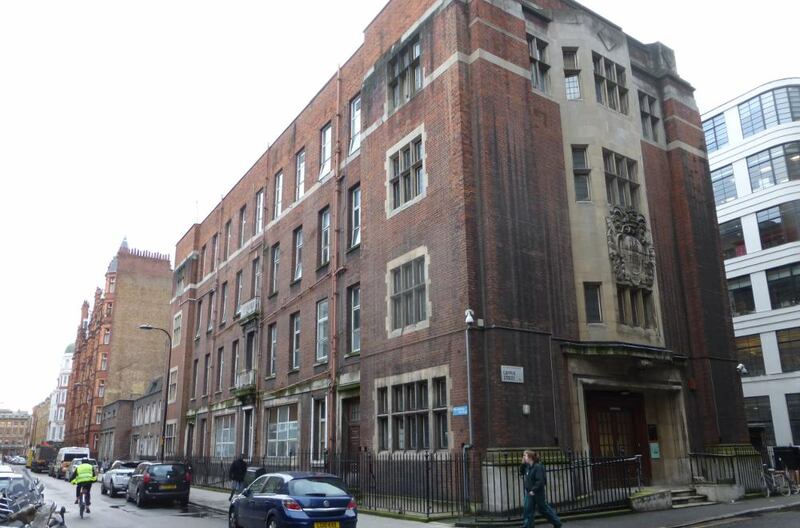 Initial plans were aired last summer and the autumn when residents and Fitzrovia’s community groups while welcoming the improved services expressed concern about the bulk of the building, transport problems, and the affect on the nearby listed buildings. Community groups were also disappointed with the lack of public open space and affordable housing contributions. 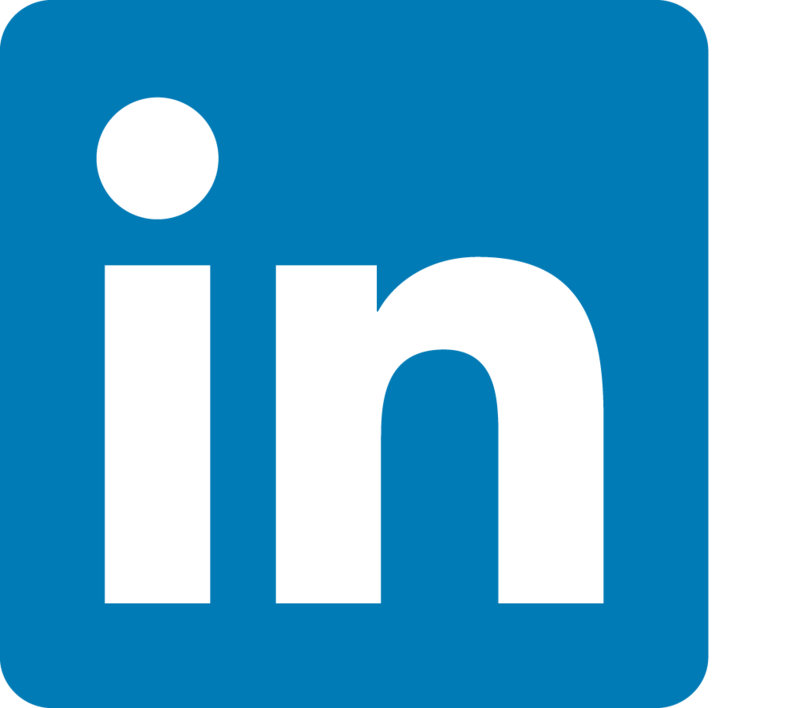 The development team will be available to answer questions about the proposals. A planning application will be submitted to Camden Council for approval. NB: this article was updated at 11.30am 14 January. 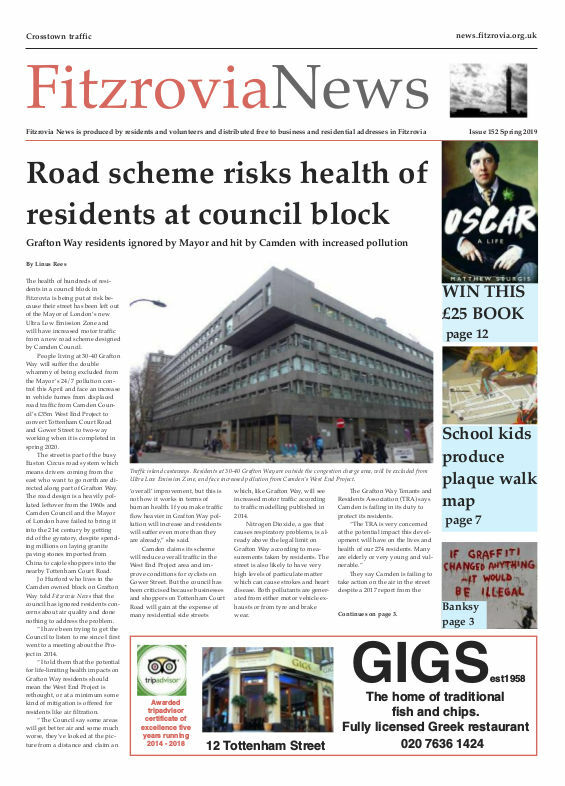 Originally we wrote that only the Capper Street facade would survive UCLH’s bombardment, but our source tells us that plans are now for the whole lot to be demolished.